One of the most important steps in the home buying process is gathering information about local areas. We’re always putting together helpful information on schools, weather, community events, and other local details. Of course, we would love a chance to tell you more about San Antonio and surrounding areas. 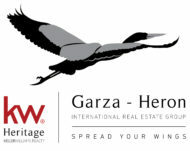 Just give Adrian Garza-Delgado a call today at 210-595-9492.